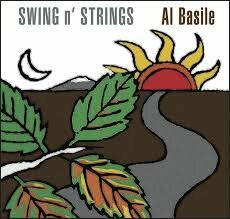 Al Basile took a long journey before the release of Swing n’ Strings. The Rhode island Historical Society invited him to perform at their summer concert series in 2013. He had released a jazz album in 2003 titled Red Breath and decided to return to that style for the concert. After several months of rehearsals, the concert was canceled due to bad weather. Not all was lost however as the songs eventually made it onto his new album. Vocalist/cornet player Basile was an original member of Roomful of Blues, 1973-1975 and has been working with The Duke Robillard Band since 1990 in addition to his solo work. His last release, Woke Up In Memphis, was a combination of soul, blues, and Americana and very different from his latest release. He draws on many classic jazz tunes. He and producer Robillard use a basic quartet, with a second guitarist present on three tracks. Cornetist/vocalist Basile, guitarist Fred Bates, sax player Rich Lataille, bassist Marty Ballou, and occasional second guitarist Bob Zuck form an interesting and creative unit. Basile is a laid back vocalist but as a cornet player is able to create a wonderful and pure sound and it brings life to many of the old jazz songs. From a rousing version of Irving Berlin’s “Heat Wave” to the gentle “Oh, You Crazy Moon,” to the textures of “A Kiss To Build A Dream On” and “This Nearly Was Mine;” it is an exploration of the mellow side of jazz. 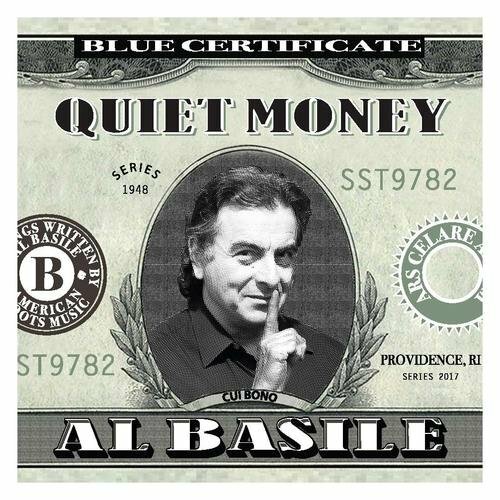 Al Basile has issued a solid album of light jazz. Whether he will explore jazz more in the future is unknown but Swing ‘n Strings is a nice stop in his career path. 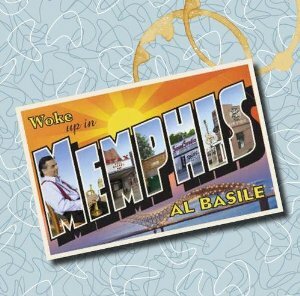 Al Basile is just about to release his tenth solo album titled Woke Up In Memphis. The former member of Roomful Of Blues has done it his way as his own Sunspot label has now celebrated 15 years of existence. He has always been a friend of blues guitarist Duke Robillard who has produced his latest release. If Robillard is going to be in the studio, he might as well contribute his guitar skills, which are some of the best in the business. In addition to Robillard; he has gathered a talented band to back him in the studio. Current Roomful Of Blues sax player Rich Lataille, former member and baritone sax player Doug James, drummer Mark Teixeira, keyboardist Bruce Bears, and bassist Brad Hallen all support Basil’s vocals and cornet. They add up to an excellent aggregation. Basile has always been a first-rate song writer and all tracks bear his signature. His lyrics are personal, incisive, and always interesting. The music has layers of textures and his use of horns provide a defining emphasis. His new album, while grounded in the blues, travels in a number of directions as it incorporates elements of rock, jazz, and gospel. Guest vocalist Sista Monica Parker propels “Make A Little Heaven” into a gospel fused extravaganza. Add in “Saved By The Blues,” “Don’t Make Me Beg,” “One More Stone In The Pitcher,” and “Big Like Elvis,” and you have a nice selection of very listenable songs. Al Basile has a lot of years and miles under his belt. Woke Up In Memphis is a fine addition to his legacy.